I picked up some Okinawan spinach, or handama, this week. 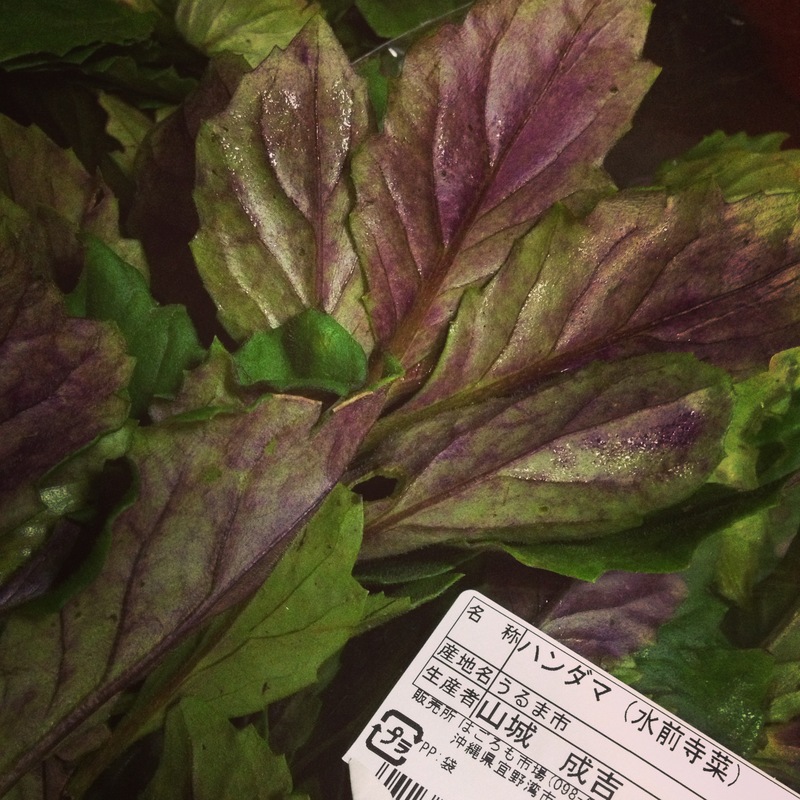 Handama has a beautiful purple color on one side the leaf. 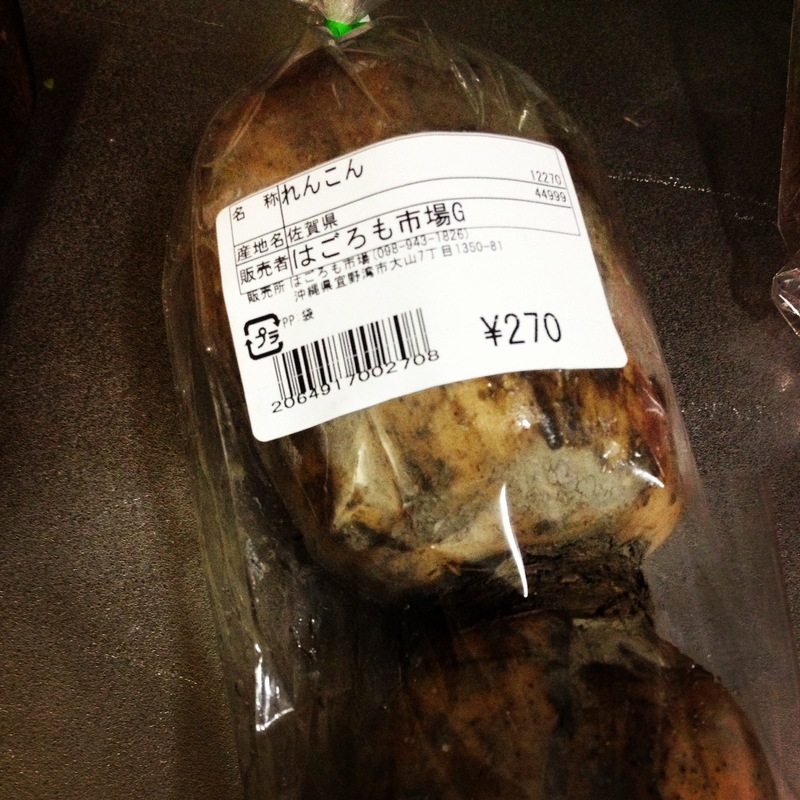 It can be eaten raw or cooked. It’s got a pleasant and mild taste. 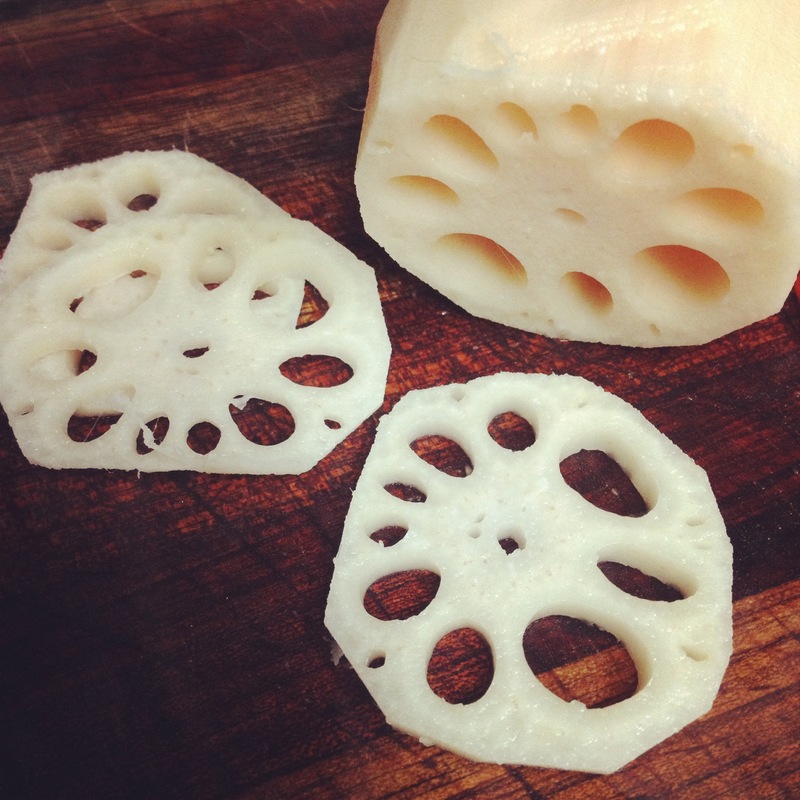 I also found fresh lotus root, known as renkon in Japanese. It’s easy to find packaged renkon in the local Japanese stores, but this is the first time I’ve been able to use it fresh. It’s cooling and great for the liver. 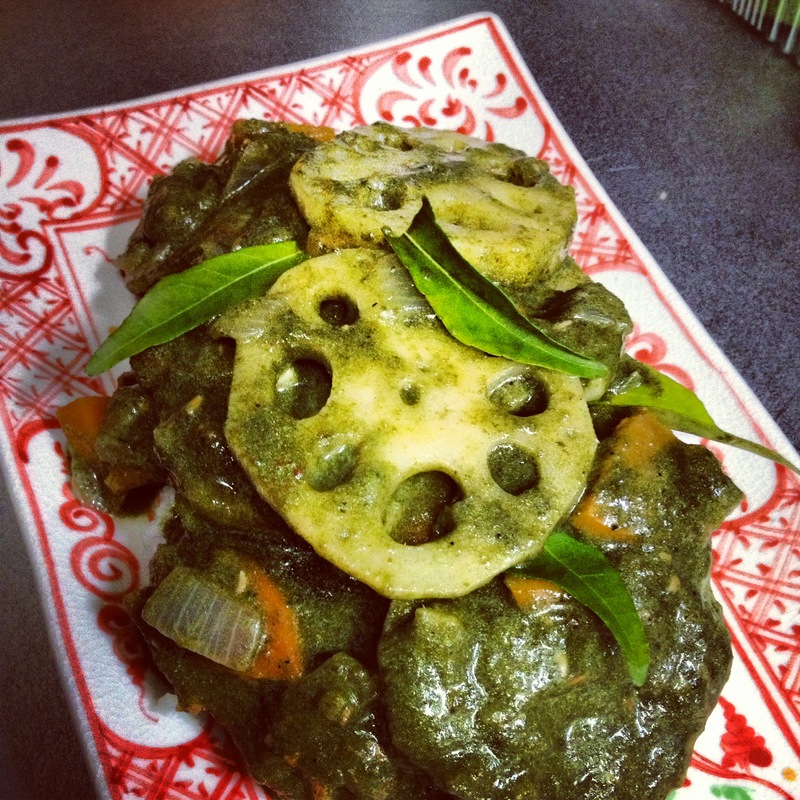 I decided to use these local Okinawan ingredients to make an Indian spiced curry. Don’t be afraid of the long ingredient list here, it won’t bite… Unless you want it to. Clean the handama and blend it with the water. 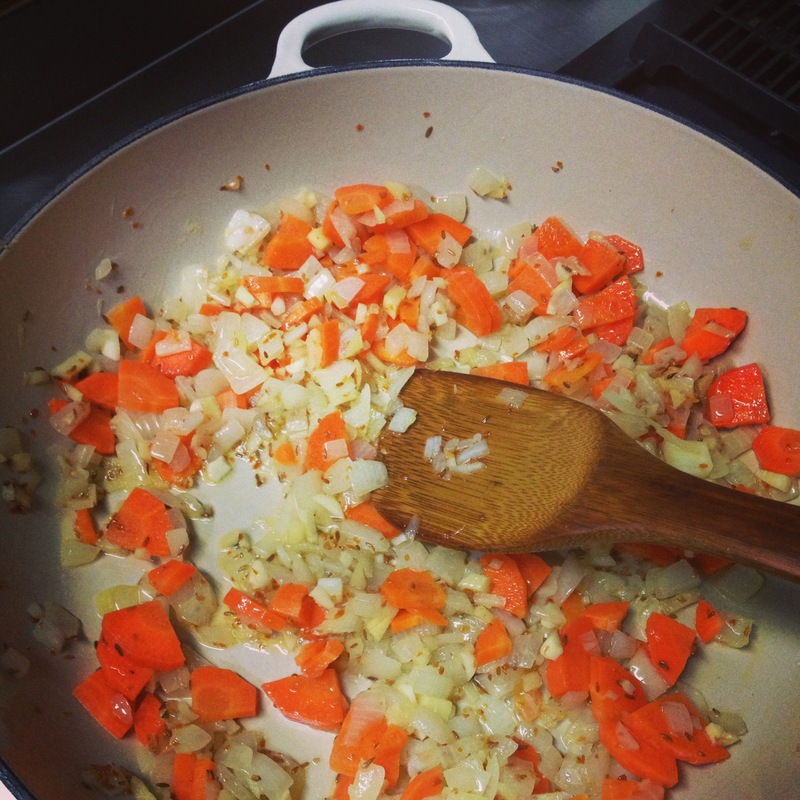 Dice the onions, ginger, garlic and carrots. Peel (if fresh) and slice the renkon. Heat the ghee, then add the onions and cook until soft. Add the cumin and fenugreek, cook for two minutes. Then add the carrots and garlic and cook for 2 minutes, then add the diced ginger, cook for a few more minutes. Once these are cooked though, add the blended handama and renkon and bring to a boil. Then reduce the heat and simmer for 20-30 minutes. Add the powdered spices, shikuwasa juice, salt and pepper, then turn off the heat and let cool for 5 minutes. Stir in the cream and serve over rice. 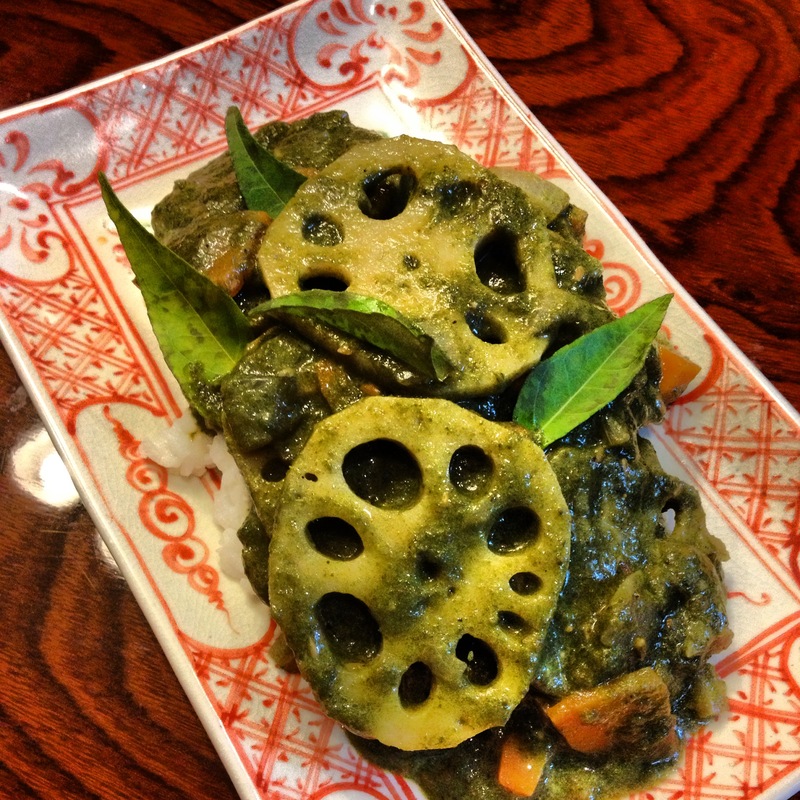 This entry was posted in Ayurveda, Food and tagged Curry, handama, lotus root, okinawa spinach, renkon.